When I first read the challenges for #Blogtober16 some I thought were immediately easy and others much harder. 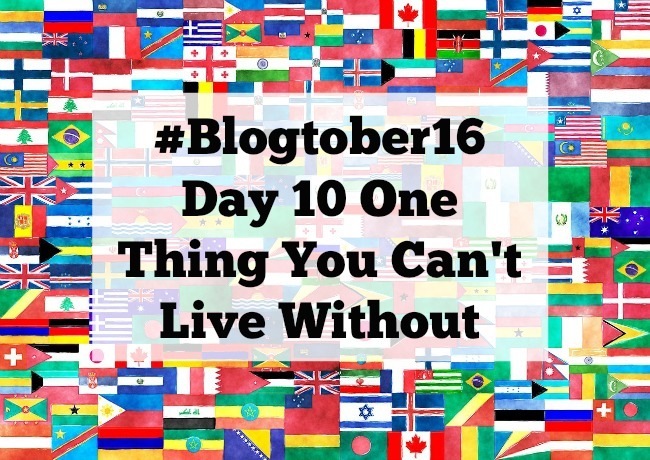 Blogtober16 Day 10 One Thing You Can't Live Without was one of the harder ones. What couldn't I live without? My phone? My dishwasher? My bed! I think everyone would agree that their family comes first so I won't choose that, but for me it's my friends. I like people. I enjoy some time alone but love being with people too. When I moved away from home I left all my friends behind, over the years we have lost touch and without Facebook their lives would be a mystery to me. Friends are not just people you know though. They are the ones that look after you, watch your back. Laugh and cry with you. Those that you've known since you were eleven and haven't spoken to for years and years but when you do there is no awkward moments or difficult silences, just laughter and chatter! Endless chatter. There are those that are your drinking buddies. Some you can meet at the pub or others that you dress up and have cocktails with. Or friends from work that are more than colleagues, those that you meet up with on your days off. They share their biggest moments and you share yours with them. Neighbours that are more than just people that live next door. They take in your parcels but also share their Christmases. They have parties and you are on the guest list, not so you don't complain about the noise but because you are friends. I live in a small close and when the weather is nice, on Friday evenings, we meet up and put the world to rights. We sit on a bench outside one neighbours house and all are welcome. I now have another group of friends, my blogging friends. A small group of like minded people who support and encourage. Who are generous enough to give advice and tips, who meet up regularly for an evening out or just for a coffee and a chat. Friends. That is one thing I couldn't live without. I would miss my phone, my dishwasher, my bed but I could easily live without them. Other than my family they are the only thing I couldn't live without. Whats the one thing you couldn't live without? Aww! This is so lovely! Friends are very important. I have a very small circle of friends and I definitely couldn't live without them! Me too. I'm very lucky my friends are real friends that we can all have a laugh or cry. I definitely think this is one of the harder topics of Blogtober. I agree friends help make life beautiful and fun! It is once you take out the obvious like oxygen and water!